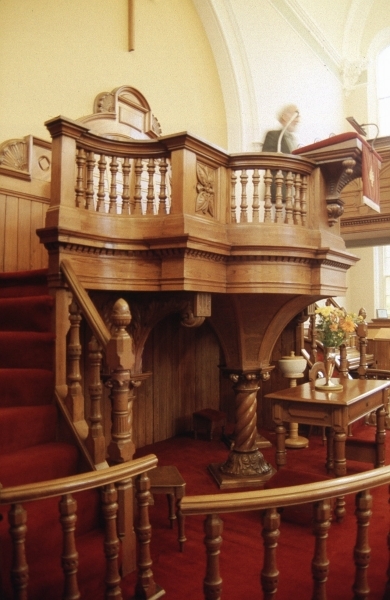 A view of the pulpit. To see another view of the interior of the chapel, click here. To return to the exterior view, click here.